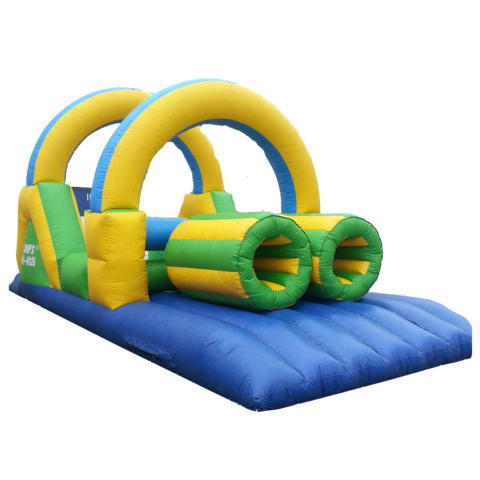 Our Obstacle Course features a climbing wall, slide, tackle posts, a squeeze, and inflatable tunnel. Your players will race through the course over, and over. 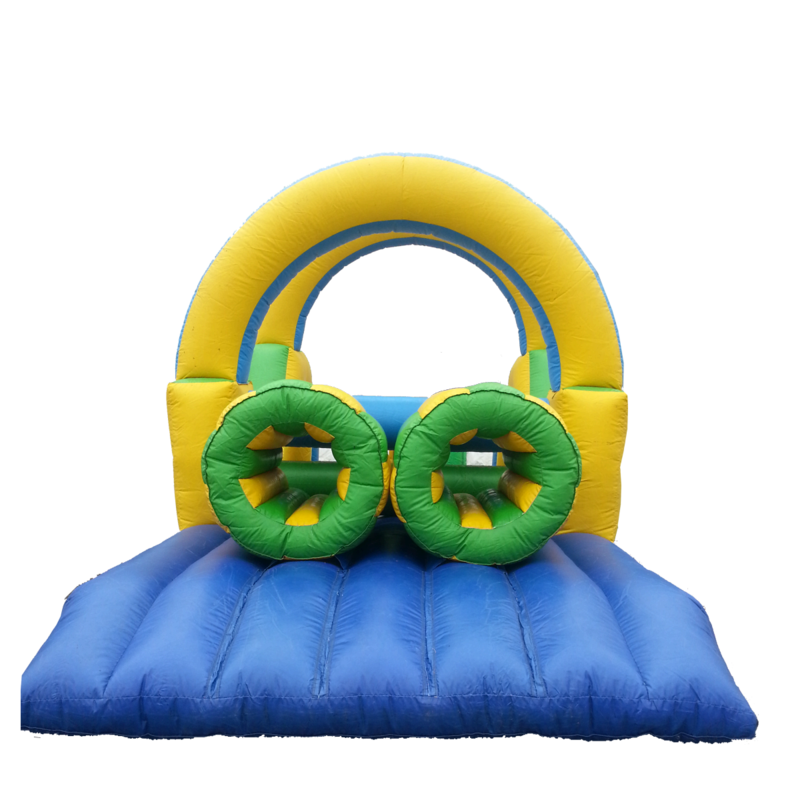 This inflated playground is best for ages 10 and under. 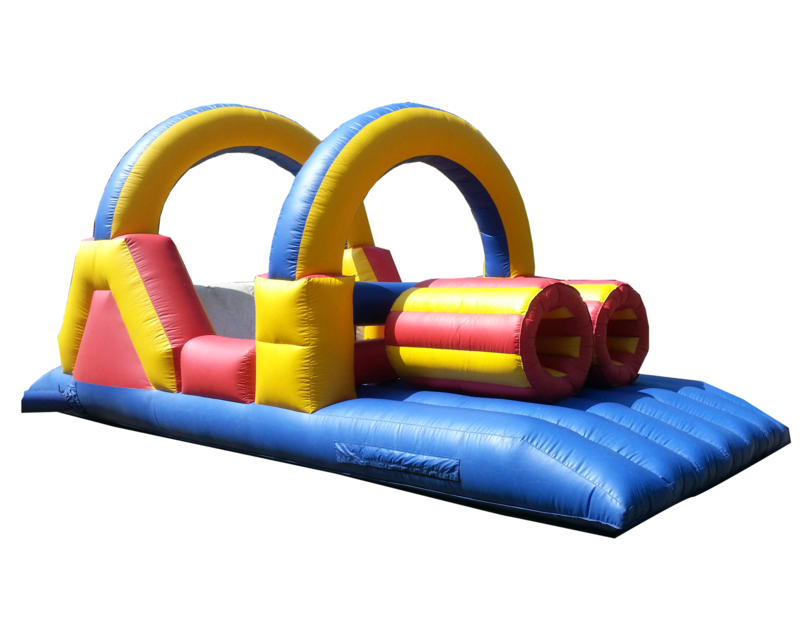 With all its versatility the kids will love it ! !